After 11 years of ownership, I have finally run the engine to its recommended overhaul time. 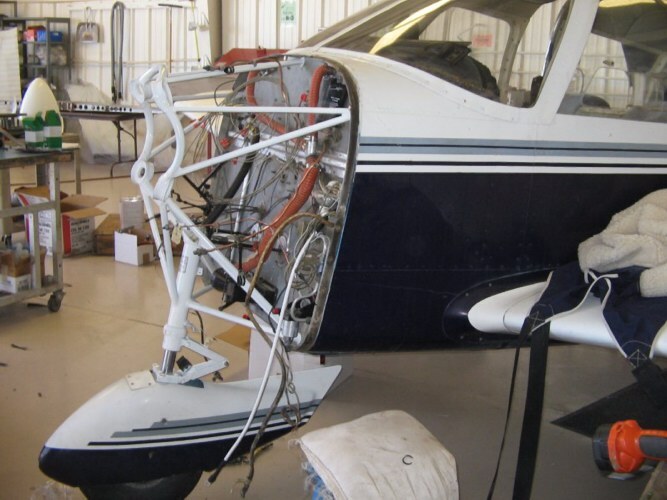 The engine was removed for overhaul in March. The project was completed and I made the first test flight on June 24, 2005. Everything worked just fine. 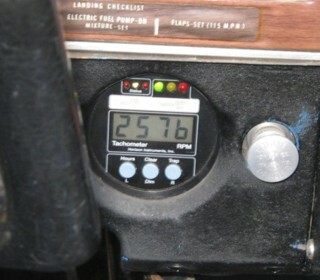 Almost a year later, the engine has flown for 132 hrs. and all inspections (25, 50 and 100 hrs.) have come back positive. 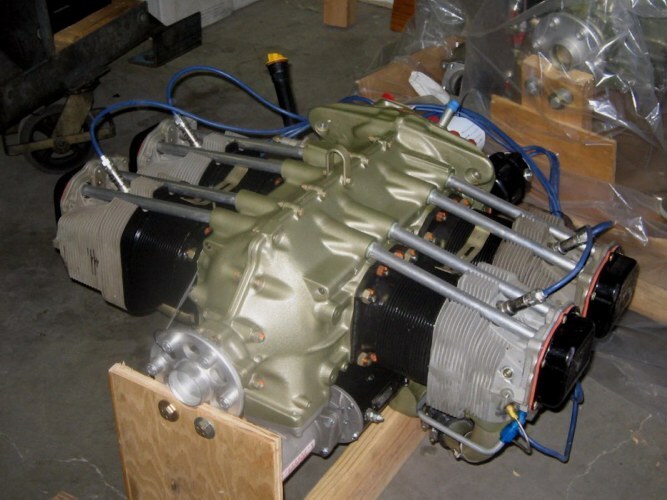 The engine received a Superior Millennium overhaul by Aircraft Engine Specialists in Chandler, AZ. This included new or overhaul of all accessories, including the oil cooler. 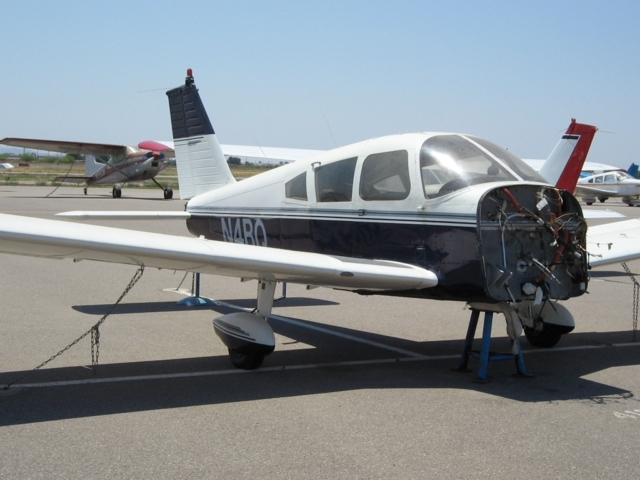 The old prop was out of spec, so I bought a brand new 76" Sensenich from Warner Propellor in Tucson. 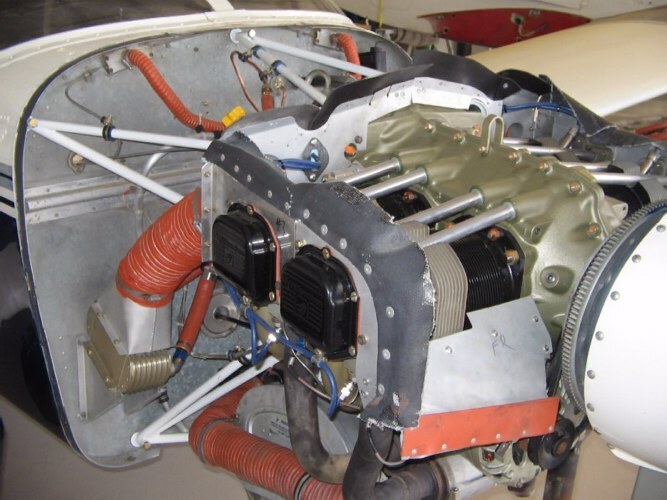 Engine mount was overhauled (5 new tubes) by Aero Fabricators (Wag-Aero) in Wisconsin. 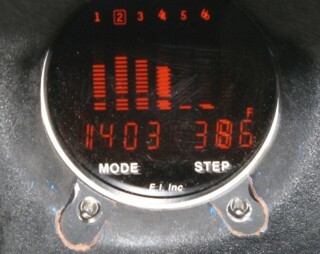 To keep tabs on the new engine, I'm adding an EI UGB-16 Engine Analyzer and a Horizon Digital Tachometer. 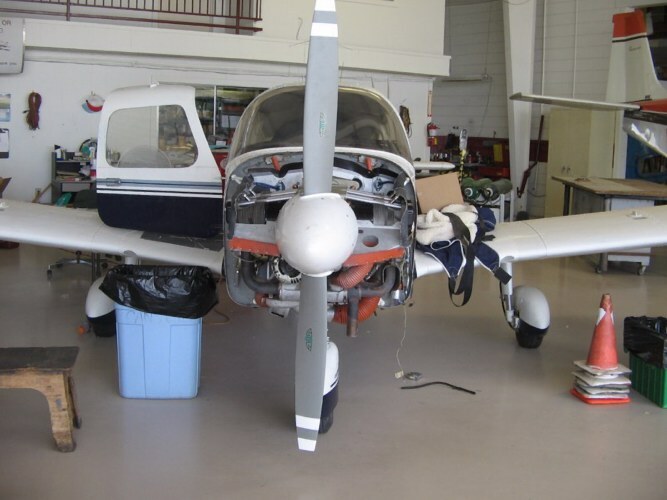 My friends at Chandler Aviation performed the removal and reinstallation, along with installation of the new instruments, new oil hoses, cleaning up of the sheet metal under the cowl and just general sprucing up. 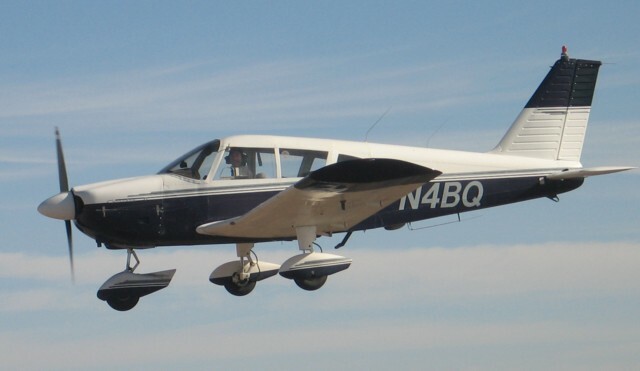 Chandler Aviation has been my only aviation shop for the last 15 yrs. I highly recommend them. the lines. The only thing missing is the gray stripe. which was damaged in shipping and had to make another round trip to Wisconsin by truck. mount was due back by June 6th. as was the pretty white paint job. N4BQ looks happy to be on all three wheels again. The brand new prop is mounted and looks ready to grab some mountain air! for the old mechanical tach. and ready for another dozen or so years of adventures before we have to do this again.